On Thursday, the Red Sox are going to be playing meaningful baseball games. Leading up to Spring Training baseball experienced one of the quieter off seasons in recent memory. It was also an offseason that was dominated by the Yankees and the Miami Marlins. The Yankees bolstered their lineup, by acquiring Giancarlo Stanton from the Yankees. The Yankees committed highway robbery with the Marlins for Giancarlo Stanton. The Red Sox were a team who made one key addition in JD Martinez, who is going to bring the added punch to this lineup. One of the more underrated aspects of this spring training for the Red Sox could have been addition by subtraction within the pitching staff. This does not refer to the subtraction of the old John Farrell regime, more so the addition of added depth out of necessity for the injured pitchers on the roster. Dombrowski and company were able to use this new found internal depth, to help assist in the JD Martinez signing. For review, Eduardo Rodriguez and Steven Wright had off season surgery to repair nagging injuries that affected their performance the last couple of years. Drew Pomeranz left a Spring Training start early with a strained forearm. Enter Brian Johnson, Hector Velazquez and to a lesser extent Justin Haley. These three pitchers are going to be the depth starters for the Red Sox all year. 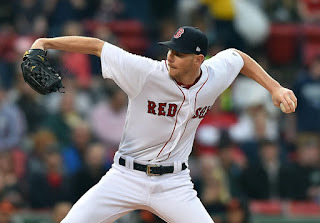 They will team up with Chris Sale, David Price and Rick Porcello to round out the rotation. Manager Alex Cora announced last week that, to no one’s surprise Chris Sale would be the opening day starter. In Sale the Red Sox are going to get an experienced pitcher, who also happens to be the best left-handed pitcher in the league. Sale is coming off of a great first year in Boston but was mired by terrible run support at times last year. If Sale improves this year, which many believe he will. He should be a lock for the Cy Young award for the first time. In his most recent spring training outing he left the game in the first inning after taking a line drive off the hip. Sale who is not one to mix words, let everyone know he is fine and will be on the mound on Thursday opposite Chris Archer. David Price is slotted for game two against his former team the Tampa Bay Rays. Price has had an up and down tenure in Boston to date. His first year he was able to rack up the meaningless “pitcher wins” but overall did not pitch well. 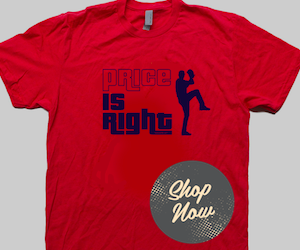 Then last year Price got hurt in Spring Training and was never right again in the regular season. In the playoffs last year, Price pitched out of the bullpen and was able to dominate the eventual World Series champion Astros. Price mentioned that this spring is the best he has felt in a long time and he is poised for a big year. If he can end his spats with the media and the fans, and just go out and pitch like he knows how, Boston is going to be tough to beat. Rick Porcello winning the Cy Young award. In the season in which Porcello won the Cy Young he followed a healthy David Price in the rotation, much like he is doing this year. When Cora released the rotation he left the fourth spot open for one of the returning injured starters. It is now clear that these pitchers are not going to be ready for open day, so this turn of the rotation at least for the first week belongs to Hector Velazquez. Velazquez is entering his second season in the Red Sox organization. Velazquez, who comes from the Mexican League, is not going to blow anyone away with velocity. He does have great movement on his pitches and is able to get guys out. Velazquez gets in trouble when he can not locate his fastball, because then hitters have to sit on his breaking ball which is not one of his better offerings. 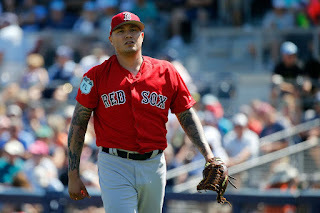 Velazquez has struggled a little bit in Spring Training, but those numbers wont mean anything if he is able to shut down the opponent and gain a little confidence going forward. Velazquez is going to be an important depth piece for Boston. Brian Johnson entered spring training with nothing to lose. He no longer had any options, and he was pitching for a Roster spot. Whether that Roster spot was with the Red Sox remained to be seen, based on how he would pitch in Spring Training. Johnson is having a dominate spring training. He like Velazquez does not have a ton of velocity, but he has pinpoint location, and is able to dominate hitters by seemingly never touching the fat part of the plate. In his last spring training outing he dazzled after dominating the closest thing to the Yankees opening day lineup. In fact Johnson left that game without surrendering a run. Johnson is going to remain in this rotation for awhile if he keeps pitching like he is now. Justin Haley is going to be used as another depth starter and as the ace of the staff for the Pawtucket team. Haley was with the Twins last year as they drafted him as a rule 5 pick. He is now back with the Red Sox, and the Sox do not intend to let him go again. He has looked okay in Spring Training, as he is still adjusting and learning how to get major league hitters out. Haley will pitch with the Red Sox this year. In years past the Red Sox have had minimal pitching depth, and that has hurt them during the grind of the regular season. 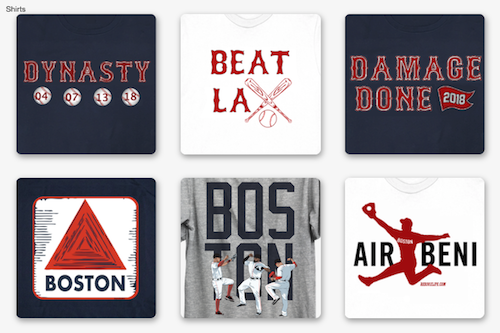 As guys wear down, or need their natural rest the depth pieces are going to help the Red Sox get over the hump. At the beginning of the year, Velazquez and Johnson are going to step into the rotation to bridge the gap to Pomeranz and Rodriguez. Steven Wright is more useful out of the bullpen, and he will probably end up there once this staff is fully healthy and the season wears on. The Red Sox pitching is going to lead them to the playoffs this year, and hopefully to a world series.